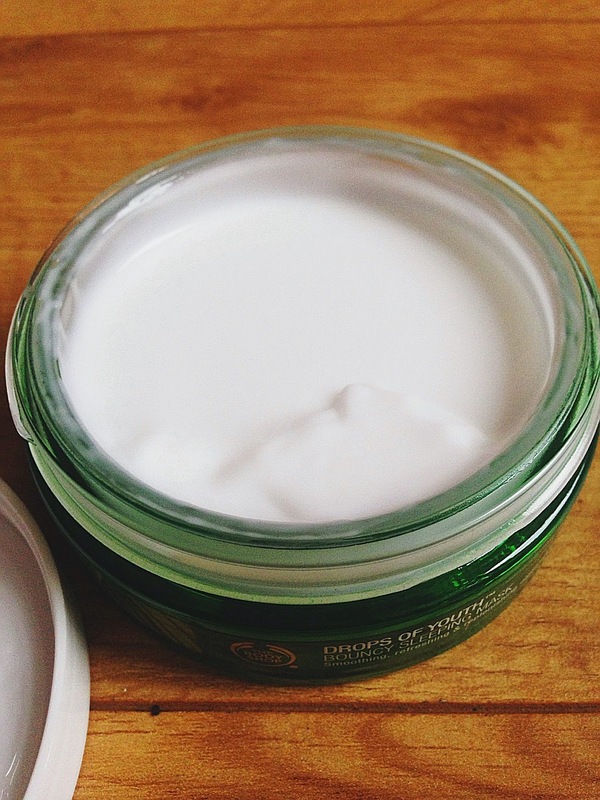 Ais Mc: Body Shop Sundays: Drops of Youth Bouncy Sleep Mask. 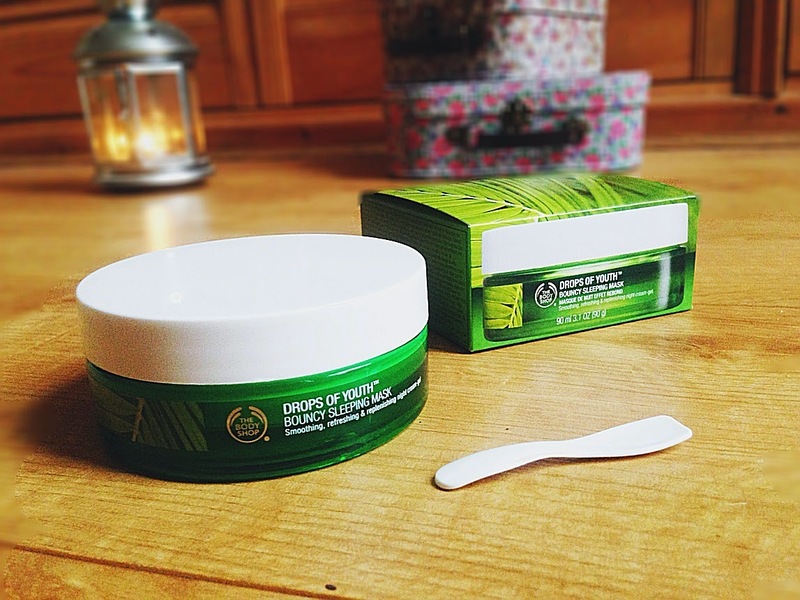 Body Shop Sundays: Drops of Youth Bouncy Sleep Mask. So this one's a title and a half.. I have had such a lazy week on the blog front - life dramas and volunteering got in the way of my regular posts but, ahead of my Body Shop skincare event this week I just had to post about the product I can't get enough of. The Drops of Youth range has been an amazing success for The Body Shop, with the Drops of Youth Concentrate being a bestseller nationwide. So when it was announced a new product was being released I knew it was gonna be a good'un. Enriched with Edelweiss stem cell technology, the Bouncy Sleep Mask works over night to leave your skin feeling smooth and replenished. Now being honest, the Bouncy Sleep Mask talks a-lot of talk, but could it walk the walk? Or the skincare equivalent.. (Spoiler: Yes, it could). A ma-hoosive perk of working in the Body Shop is that we get samples sent in store for the staff to try out so we can give honest opinions to our customers asking advice. And when the girls and I saw this our faces dropped. The product is like nothing I've seen before, with a unique and bouncy memory foam texture that can only really be compared with a memory foam mattress, this over night mask really is something special. Only recently has night time skincare become an issue for me, the cold weather has been drying my skin out and I've suddenly had the realisation that wrinkles happen and I need to start doing something about it! It was all a bit daunting to start with, serums, oils, concentrates and moisturisers - I was in out of my depth. But this mask covers all bases in one quick and easy step. Being from the Drops of Youth range it not only gives me vital overnight moisture but also has youth enhancing qualities that recharge the skin and leave me fresh and bouncy in the morning. The texture of the product means that it can feel slightly sticky and dewy on the skin, and for this reason I apply it 15-20 minutes before I go to sleep to avoid a sticky pillow! The reason for this is that it locks in any previous creams or serums you've used prior and prevents them rubbing off. I really like the sound of this mask, my skin is playing havoc lately so this could be just what I need. I must remember to pop into The Body Shop once it's released.. I like the sound of this, especially that it locks in previously used serums, I always worry about them rubbing off! This sounds so brilliant and I've heard great things, but i'd be nervous getting it everywhere because I wriggle around a lot and usually sleep on my front? I still need to try my sleeping mask sample. I'm waiting on the weather to get cold...still warm here. This one sounds like a good one if you're like me and completely new to sleeping masks. Body Shop Sundays: All In One Instablur. A New Year A New .. Me?